ROSSER, Man. - Federal Conservative Leader Andrew Scheer says he will not be introducing a motion of non-confidence against Justin Trudeau despite saying the prime minister has lost the moral authority to govern because of the SNC-Lavalin affair. Scheer says if Trudeau respected his office, he would step aside. But Scheer adds it is up to the Liberal party to determine whether to keep Trudeau as leader. SNC-Lavalin lost a court bid today to overturn the public prosecutor's refusal to negotiate an agreement that would see the company avoid a criminal trial. When asked whether he would have offered the Montreal-based engineering firm SNC-Lavalin a deferred prosecution, Scheer responded he would never interfere in a court case. The Opposition leader was in Manitoba to announce that he would remove the GST from home-heating and home-energy costs if the Conservatives were to win the October election. 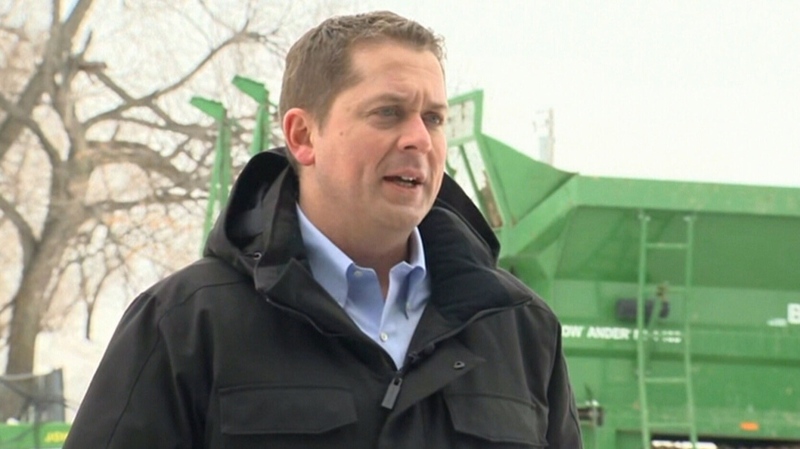 Conservative Leader Andrew Scheer speaks with reporters in Rosser, Man., Friday, March 8, 2019.